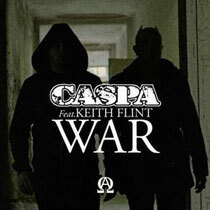 Underground dubstep artist Caspa is to release his major label debut, ‘War’, featuring the vocals of Keith Flint from The Prodigy. The single is set for release on 30th July. Directed by Matt Lambert, the video is set in a dystopian near future where a group of teenagers and young adults are getting ready to make their last stand against a rival tribe. You follow their journey as they prepare themselves for battle through the series of primal, nihilistic and guerrilla rituals. All this is juxtaposed by the strength of their community and love for one another. Caspa’s influence on the bass/dubstep scene is profound. His musical progression has marked him out as a key proponent in spearheading the sound internationally and the USA in particular. Check it out below.